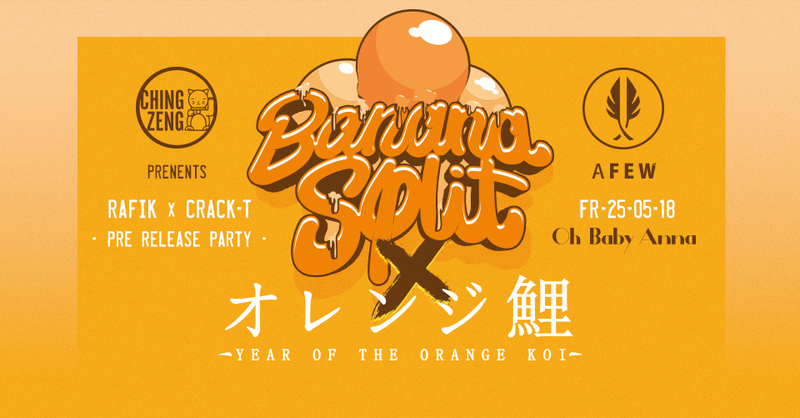 Ching Zeng is proud to present: Banana Split – Afew-Store „Year Of The Orange Koi“ Capsule Collection Pre Release Party at Oh Baby Anna in Dusseldorf on Friday May 25th. Crack-T delivered a little open format mix to promote this Friday´s event the right way. Sounds by Dj Rafik & Crack-T.